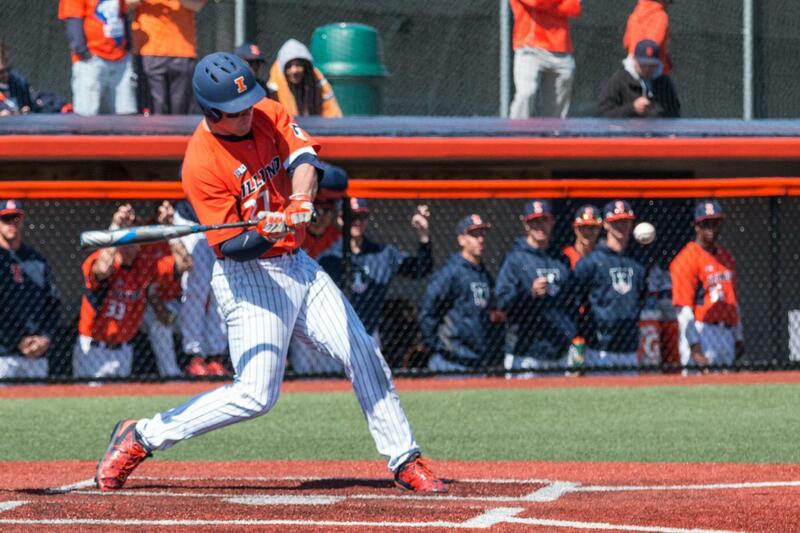 Pat McInerney takes a swing against Penn State on March 27, 2016 at Illinois Field. 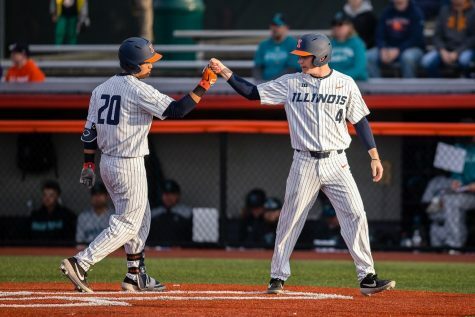 Coming off of a series win against Minnesota, the Illinois baseball team is heading to Southern Illinois for its final weekday game of the season. 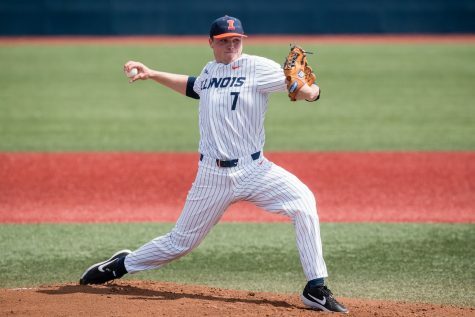 After a slow start to the season, the Illini went 11-7 in April to improve their overall record to 18-23 on the season. 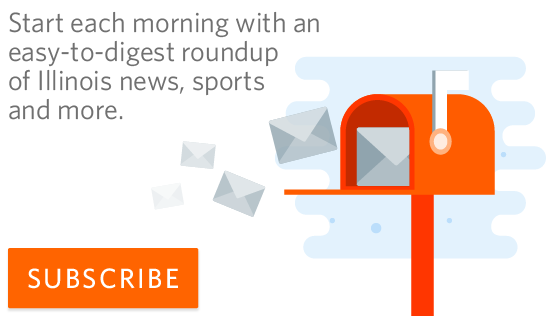 But, they still have a bit of work to do if they are still hoping to make a postseason run. 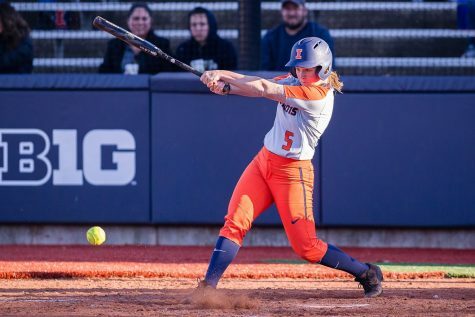 The Illini currently sit 11th in the Big Ten but are only two games back of current eight-seed Michigan State for the final spot in the conference tournament. 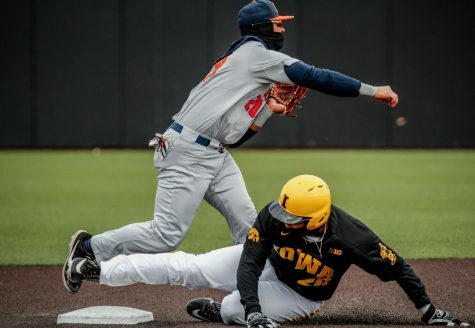 With a series at home against Maryland this weekend, a win over its down-state rivals could give the team a little more momentum and a three-game winning streak heading into the weekend series with the Terrapins. 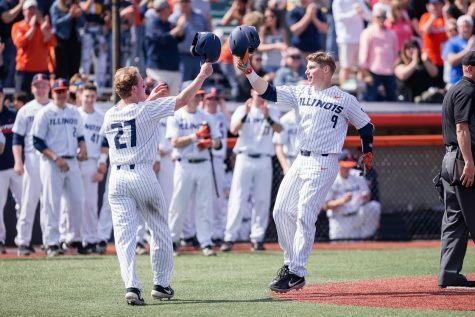 In two previous meetings this season, Southern defeated the Illini 8-5 and 3-1. 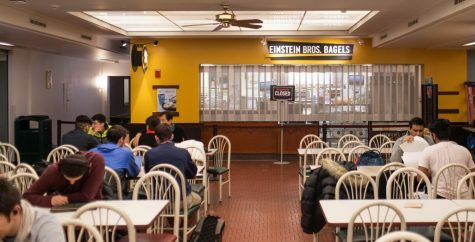 While Illinois lost both of the previous meetings, this is a very different team that will be heading down to Carbondale on Tuesday. 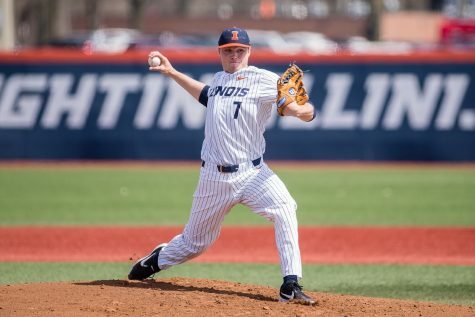 During both meetings in early March, the Illinois pitching staff had been facing some major struggles in terms of allowing too many walks and failing to capitalize on any run support it received. 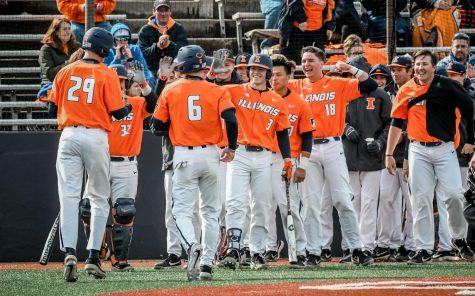 In their last eight games, the Illini have not given up more than six runs and have allowed four runs or fewer in five of those games. 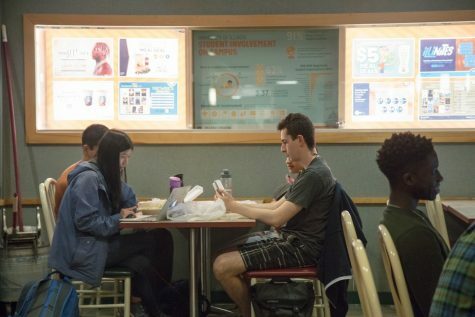 The changes have come due to a shake up in the rotation, which included bringing Cyrillo Watson and Matthew James into full-time starting jobs. 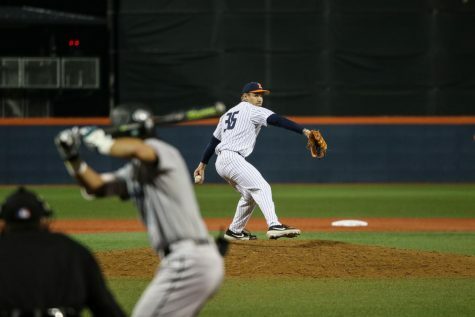 The offense has also made some big improvements, especially through players such as Michael Massey. 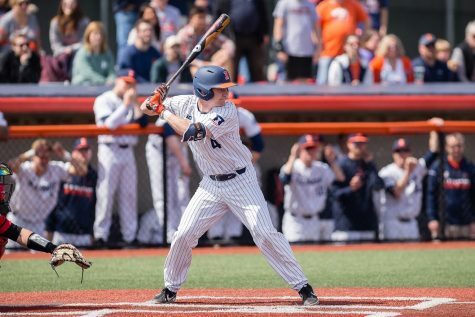 The freshman second baseman has hit well all season but has really turned it up one the last month. 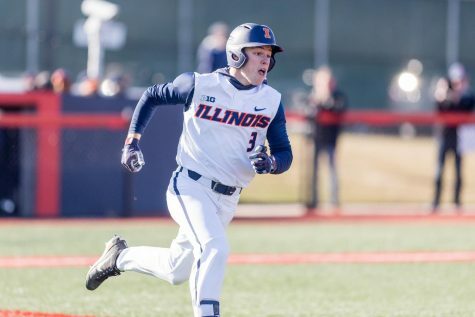 He is currently riding a 13-game hitting streak and has won two consecutive Big Ten Freshman of the Week awards for his performances at the plate. 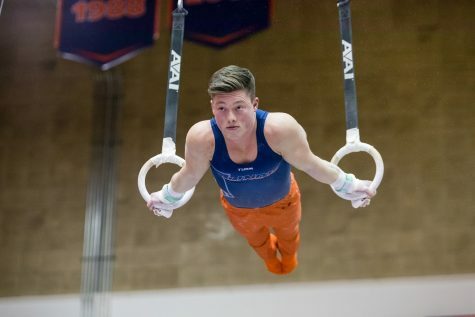 Other noticeably improved hitters have been Jack Yalowitz, Pat McInerney and Doran Turchin. 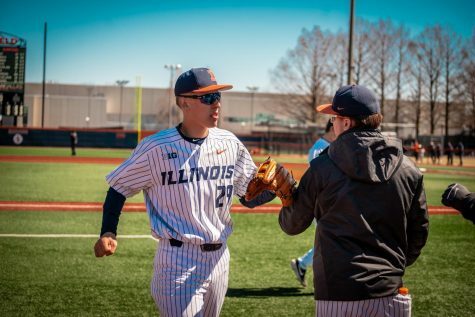 Cole Belair is projected to start for the Illini on the mound against the Salukis. In his last three appearances, he has not given up more than three earned runs and has struck out 11 batters in his last 11 1/3 innings. 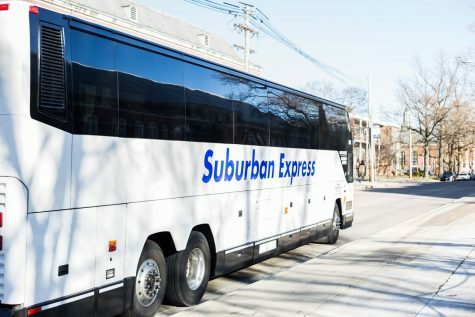 The game will be played Tuesday at Richard “Itchy” Jones Field in Carbondale.